SPOLOČENSKÉ HRY | Munchkin Zombies EN - The Meat Locker - 2 boxes | Funtastic.sk - spoločenské hry, knihy, komiksy, figúrky. 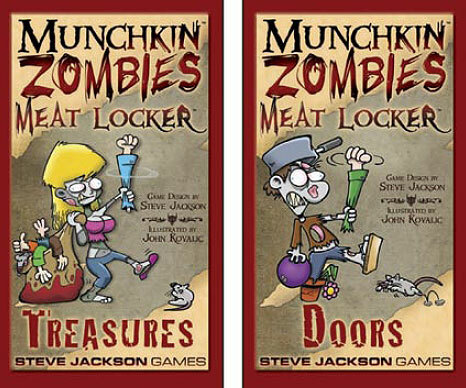 Munchkin Zombies Meat Lockers - expansion! Where do zombies store those tasty, tasty brains? Right here! 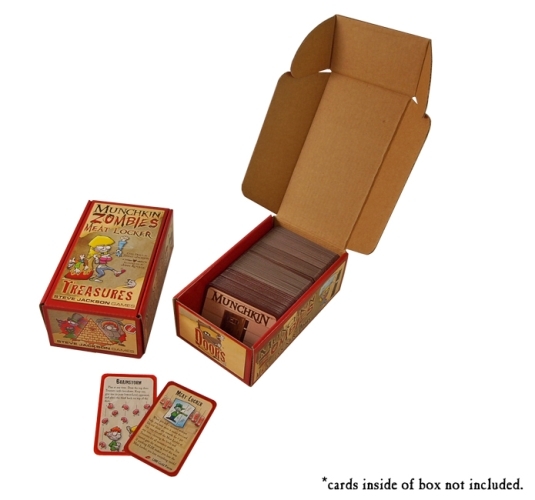 The Munchkin Zombies Meat Lockers are sturdy cardboard boxes, one for Doors and one for Treasures, big enough to hold 500 Munchkin cards apiece! Bonus: This set includes two new Munchkin Zombies cards! Mmmm . . . more brains! Expansion contains: two fold-up sturdy cardboard boxes and two cards.